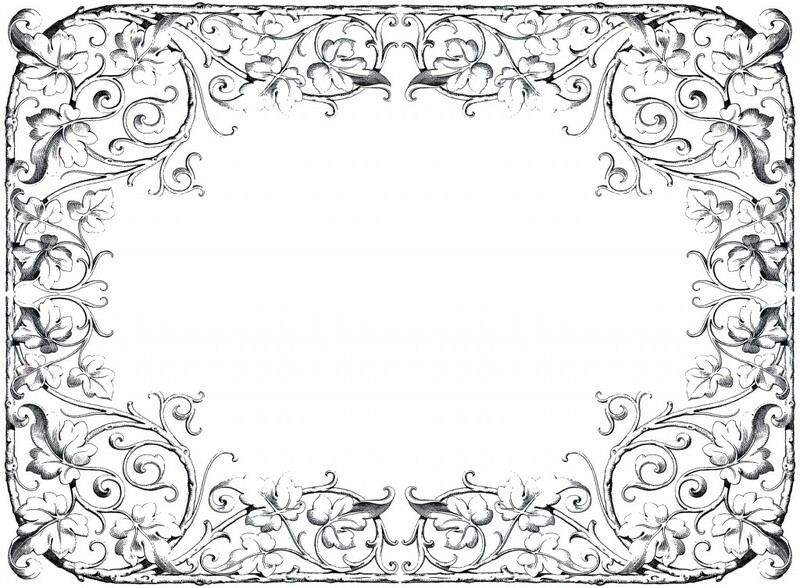 This is a fabulous Antique Fancy Leaves Frame! This frame is another scanned from a favorite in my collection…. a rare Circa 1876 Ornamental Design book, with the most phenomenal ornaments that I have ever seen! Shown above is a marvelous Engraved Graphic Frame Image with loads of delicate looking Leaves Vining around the edges. Perfect for Graphic Design, Wedding Stationery, or you could make some great looking Labels with it! You might also like another fancy frame label from the same book, you can that one HERE. 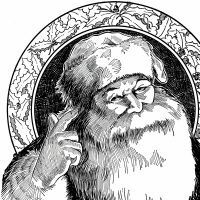 6 Santa Illustrations – Black and White Vintage Clip Art – 3 Cute Buttons – Sewing Vintage French Tudor House Image! « DIY Art Print Hanger – with Butterflies! I am looking for vintage images of ladies working on the farm or out in the barn, field, garden, or orchard. Something beautifully etched. I am looking to woodburn several images. Any ideas? Hi Bernadette, If you do a search for Pyrography on my site, I have quite a few woodburning images. I’m not sure if any of them are the topic that you are looking for though. You may also try looking in the “Garden” section. I hope that helps! Thanks Karen for sharing your Graphics with us. Love the airy elegance of this frame Karen – thanks so much. Love the Fancy Leaves frame. Can you give me some ideas as to what I could use it for on furniture? Hi Debra, I think it would be fun to put on the drawers of a dresser, perhaps as a frame around the knobs or in the center of each drawer with a number inside of it! This frame is luscious! It would be perfect as a label, especially for handmade cosmetics.